World’s most recognized web addresses. .com is the world's most widely-used top level domain name. It is derived from the word commercial, indicating its original intended purpose for domains registered by commercial organizations. As of today, .com has reportedly reached 110 million registrations. .com was one of the first TLDs introduced for use on the internet back in January 1985 and has been grown up into the most popular domain name worldwide. As with the rapid growth of domain name industry, more and more TLDs emerging; however, .com still remains the king of all domain names. For any businesses or individuals who are looking to build their own online presence, .com is always the first option they would consider. Registering a .com domain name is to win at the starting line. 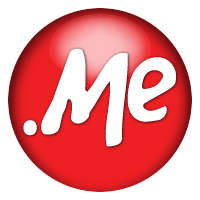 Despite the widespread use of .com, it is the most recognized domain name on the internet world. Although the .com domain name is originally used for commercial websites, it is not limited to the certain field. Anybody can register a .com domain name. No wonder it has been popular since it was created 100 year ago and keep remaining a hot domain name today.